Public transportation has finally arrived in Region of Queens Municipality (RQM). During a presentation to council Aug. 28, Queens County Transit (QCT) announced it would begin the pilot phase of its roll-out in September. 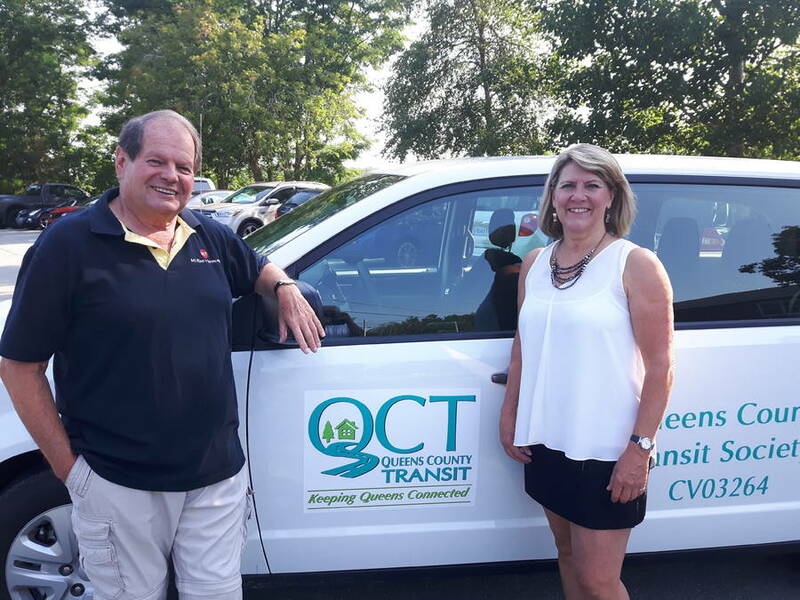 Vans, drivers, staff and volunteers are all in place to provide accessible door-to-door service Monday through Friday from 8 a.m. to 5 p.m.
"We are one of the last counties in Nova Scotia to have any kind of public transportation system," QCT board member Carole Hipwell told council. The system will "connect people to the services and supports that they need to do their regular daily life," she said. QCT will serve riders from all parts of Queens, focusing its efforts on seniors, low-income residents and people with accessibility issues. The system will connect passengers will medical appointments as well as social, recreational and educational activities. It will also help reduce the isolation felt by some of its target riders, said Hipwell, who is also RQM&apos;s senior safety coordinator. "Isolation and loneliness really, really affect a person in their heart," she told council. Trips must be booked with the QCT dispatcher at least two days in advance. Fare levels have not been announced but organizers say they will be "affordable" and applied on a sliding scale depending on trip distances. "We&apos;re not going to turn anybody away for any reason," including inability to pay, board chair Ken Colthorpe told council. Destinations will not be limited to those within Queens County. QCT will offer rides to medical appointments in places like Bridgewater, Kentville and Halifax. Colthorpe said a return trip to Halifax would cost a lone passenger about $150. "We figure we&apos;ll be just about breaking even if we charge that," he said. Costs could be reduced by linking to a proposed Maritime Bus route that would travel from Bridgewater to Halifax, with stops in Lunenburg and Mahone Bay, he said. Board member Don Kimball of South Brookfield believes the service will make a big difference to people in North Queens. "There are no options whatsoever, other than trying to count on friends, relatives and that sort of thing," he said. "This is vital to us. It will help people stay in the community." Councillor Jack Fancy asked whether QCT might represent a "fear factor" for local taxi services, but Hipwell said they should have no concerns. "We&apos;re certainly not in this to compete (with them)," she responded. In fact, she said, the transit system will refer people to local taxi services outside of QCT business hours. To date, the new public transit system has been funded mostly by the province, with additional support from RQM. Hipwell ended her presentation by reminding council that QCT is hoping to receive an annual commitment of up to $26,000 from the municipality. Speaking to LighthouseNow, Mayor David Dagley said the funding request will be addressed in next year&apos;s budget deliberations.